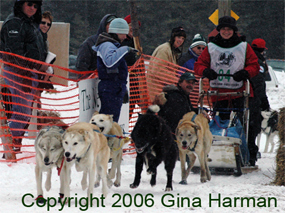 Newberry Area Dog Sled Racing can be one of the most rewarding adventures that you can experience! 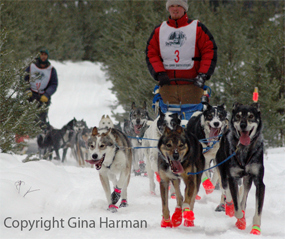 You can be a musher, spectator, volunteer, or take a dog sledding tour. 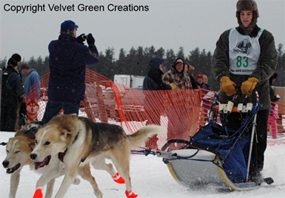 Welcome to our Newberry Sled Dog Racing information page. A family event for everyone to enjoy. 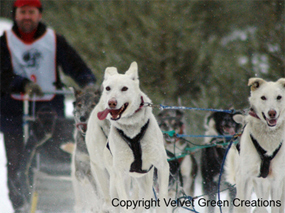 You don't have to travel to Alaska to experience first class Dogsledding and Dogsled Racing. 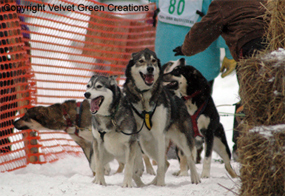 Dog Sled Racing - Take the family and prepare yourself for something so fun and exciting!! Whether you are a spectator or a musher - pro or beginner, the Tahquamenon Area is a pristine wilderness full of snow, forests, and adventures. Teams of dogs and their mushers - looking towards the ulitimate goal to finish the race with the pride and to place well in the competition. A true example of teamwork, companionship, and striving to win - these events are great for families to experience. Imagine Yourself As the Musher - Many of our local dogsledders offer services so guests to our area can experience a real dogsledding adventure. Imagine the thrill of being behind a team of dogs - excited to pull you through a forest so beautiful and lovely. Check with the Tahquamenon Country Dogsled Race Association for up and coming schedule for dogsled races! 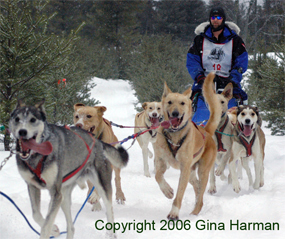 Tahquamenon Area Dog Sled Racing can be one of the most rewarding adventures that you can experience! 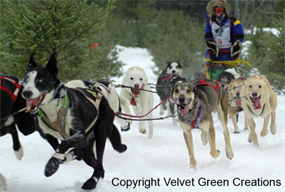 You can be a musher, spectator, volunteer, or take a dog sledding tour. The forests encompass the snowy terrain with nature, wind, and quiet peacefulness. The team comes through the snowy cloud with the musher giving direction - dogs listen and pull their leader through nature's challenging wilderness and terrain.....it is the world of dogsledding in the wild Upper Peninsula - Let the race begin. Make sure to keep in touch with the Dogsledding Schedule by watching our Calendar of Events.